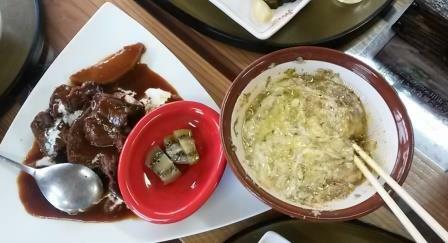 Reflecting on the recent trip to South Korea and Japan, there is one meal that is a particular stand-out for me. The meal featured bamboo in many guises. 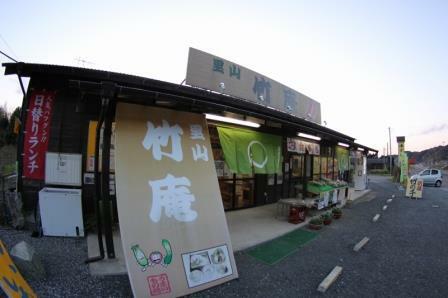 My hosts in Tokyo kindly took me about in Chiba one fine day, with a plan to eat at this roadside diner. One of the special bamboo ‘sets’ were ordered for each of us. A tray with dishes arrived. 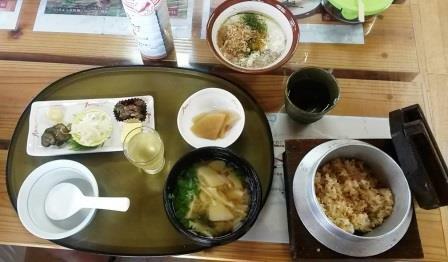 Then the rice, with bamboo of course, in its own hot-pot type bowl with rustic wooden lid. On the tray were pickled bamboo, soup with bamboo shoots, a selection of other pickles, and a glass of plum juice, all made by the farmer who grew them. Then came the sticky potato. And the deer stew. That’s pickled kiwi fruit in the red dish. This sticky potato dish is made from the wild tuber found in the mountains nearby. It hardly resembles conventional potato in any way except perhaps colour. Savoury flavourings were placed on top on the slimy goop in the bowl and we mixed them in ourselves at the table. Delicious. As was the deer stew. Probably the richest flavoured deer stew I have tried in Japan. 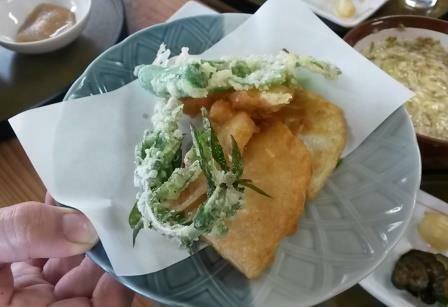 Then came the bamboo tempura. Normally I don’t eat wheat flour, but this was worth making an exception for. Perfect crispy tempura batter. Perfectly textured bamboo shoot awaiting inside. It was the Takean branch that we dined at (I think). The fridge was stocked with local bamboo shoots, and all manner of locally made pickles. The freezer stored blueberries, and more bamboo shoots from the recent spring season. The shelves displayed more local produce and products. The owner is, quite rightly, very proud of the fine quality food he uses to turn out the excellent dishes we were so fortunate to sample. He told us he makes everything from scratch. No English spoken here, and you won’t see an English menu. Take a Japanese speaker. You’ll probably need them to at least get the directions from the website. The freezer on the left is a fish pond. 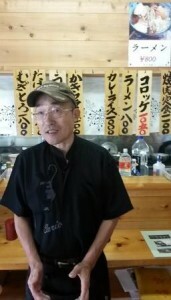 This entry was posted in All, Bamboo around the world, Food, Home and Health and tagged bamboo, bamboo shoots, health, Japan on 20/07/2014 by Deb.